Haven't read the article as I'm not a subscriber & am not allowed to, but sounds like a great move to me. Sorry Anna! Was showing before. I'll try to get it and post it. "The draft of the proposed French United Nations Security Council resolution on the Israeli-Palestinian conflict reportedly calls for the immediate resumption of peace negotiations and their conclusion in a permanent agreement within 18 months. 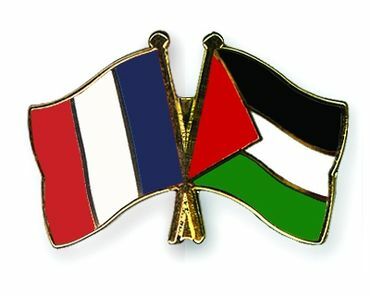 If no agreement is reached in the allotted time, the proposal says France will recognize the Palestinian state. The resolution is expected to be tabled until after the June 30 deadline set for the nuclear negotiations with Iran, with the intention of bringing it to a vote in the Security Council during the General Assembly session in New York in September." That's what all of Europe does, wait till the Iran talks are over. By September, in a worst case we will have seen another Israeli agression against you know whom. Either of those. Again, the only working tool for now remains BDS BDS BDS !!! What type of an approach is this: do nothing for 18 months, and France will recognize a new Arab state. They don't. The one who pretends to be negotiating is Netanyahu! Thks Sam, The yahu can't pretend any longer - it's a charade and always was. Arabs can't wean off UNWRA money. That means NO PEACE, Netaniyahu, or not. Why is there an UNWRA in the first place? "The United Nations General Assembly adopts resolution 194 (III), resolving that “refugees wishing to return to their homes and live at peace with their neighbours should be permitted to do so at the earliest practicable date, and that compensation should be paid for the property of those choosing not to return and for loss of or damage to property which, under principles of international law or equity, should be made good by the Governments or authorities responsible.”"